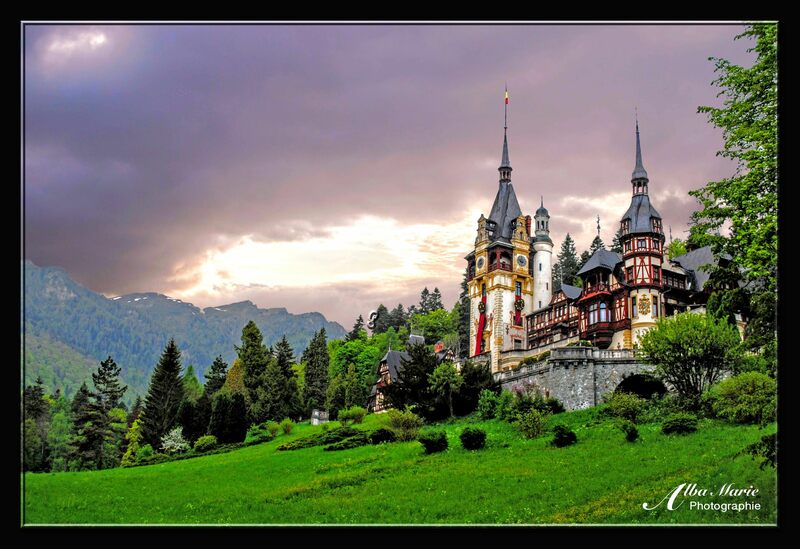 Talk about the fairytale castles! 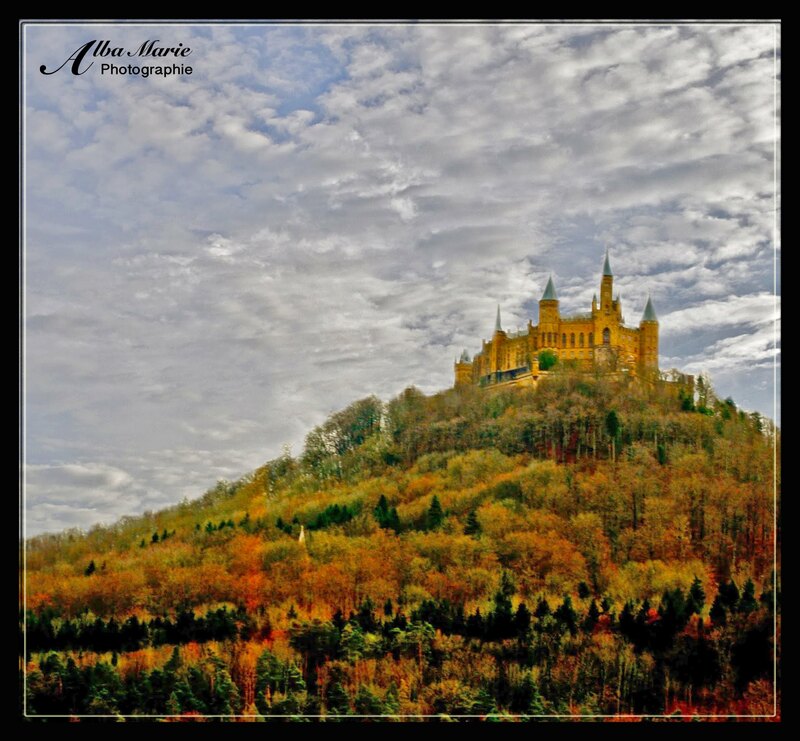 Schloss Hohenzollern seems to floats atop the golden and amber trees that crown Mount Hohenzollern. On the edge of the Swabian Jura region of central Baden-Württemberg, Hohenzollern Castle seems lost in a remote backwoods, overlooking the quiet town of Hechingen. 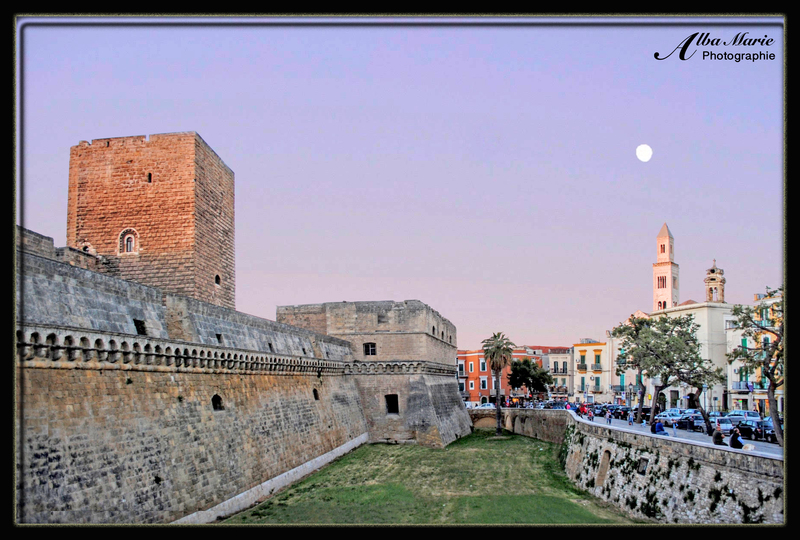 There has been a fortification here since the 11th century, though such fortifications were rebuilt many times. This castle, Schloss Hohenzollern, was constructed between 1846-67 by King Frederick William IV of Prussia in the dramatic neo-Gothic revival style so popular throughout Europe at the time. (There is also the possibility that the design was inspired by the Loire Valley Chateaux in central France – not hard to see why!). Though smaller than it looks, the castle is an a fairytale – and the largest castle in the Baden-Württemberg region. Unlike Neuschwanstein or Eltz, Hohenzollern enjoys relative anonymity – at least in the off-season! Also unlike the others, the city closest it to it – Stuttgart – is disregarded by most as a place to visit. All of this means that Hollehzollern in fall (or winter) is a quiet, romantically desolate place full of history, legend and ancient beauty. Pro tip: From Stuttgart, there are frequent trains to the local Hechingen station (journey takes 1 hour). From Hechingen, take a shuttle bus up the mountain, or you could walk through the town and on a wooded path up the mountain, but it’s between 5-6k one way. Entrance is €7 for exterior castle visit or €12 to visit the rooms. New in 2018, royal rooms can be visited on guided tours on certain days! Neither Slovakia nor its capital city of Bratislava are places that often make travel wish-lists of grand tours of Europe. At the heart of Eastern Europe, Bratislava and Slovakia in general has always been a place swept under the rug of larger powers. Though Bratislava may not have the charm of some other Central and Eastern European cities (such as Prague, Vienna or Krakow), its cobbled streets, ancient churches, quirky statues and mosaic roofs are well worth the wander. And then of course there is the castle, rebuilt “recently” after a fire gutted the estate. Today, its shimmering white towers float in the fog on a hilltop above the city. Though Slovakia is on the Euro, the country is still good value for money, and the fact that it isn’t as famous as its neighbours means that you won’t be fighting tourism crowds while still enjoying a fairly authentic experience. 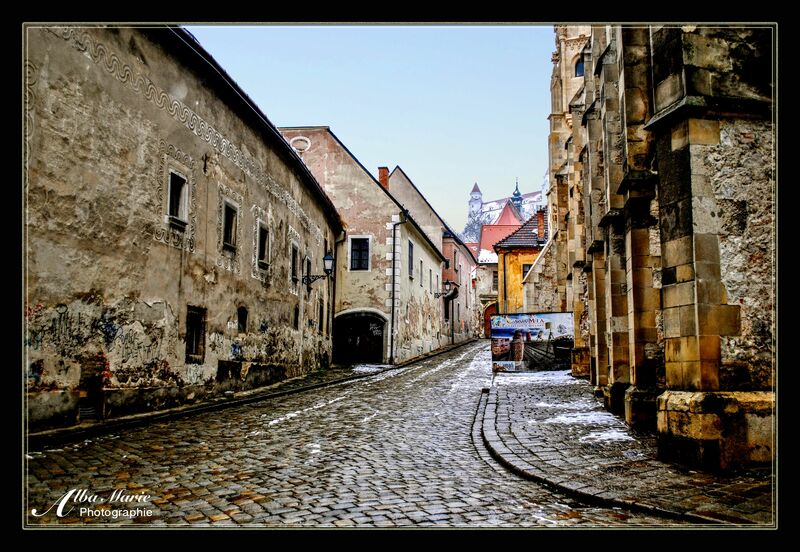 Start by wandering the old narrow streets in the morning – you’ll probably have them all to yourself at this hour. Visit the castle and the Blue Church, say hello to Cumil then have some lunch – be sure to try some Slovakian crepes (called palacinky) as well as a glass of local beer such as Bazant Radler. If you stay for the evening, you’re in for a treat – Bratislava is meant to have a great nightlife scene and is quite popular with hen and stag parties! Pro tip: Bratislava is only about an hour away from Vienna, and the cities make a good combination (Vienna is bigger but Bratislava is far more cost effective). Bratislava Airport is a good alternative access point to the region to Vienna’s airport. Vienne is most famous for its Roman ruins – the Temple of Auguste and Livie, amphitheatre and obelisk – though there is far more to this ancient place than that. A bit eerie and yet hauntingly beautiful, Vienne’s Pipet Cemetery is a fascinating place to visit. Vast alleyways and avenues are lined with massive tombs and headstones making a sort of French city of the dead. Climb to the top of the hill for a view of the fantastic ruins of the medieval castle, Chateau de la Batie, which still cling to the rugged hilltop, crowning Vienne’s dramatic skyline. The view of Chateau de la Batie seems straight out of Victorian-era painting, of a folly perhaps—dramatic cliffs, dark forests, a ruined castle, a grey cemetery, a hanging sky—and yet, the view is entirely authentic. Perched at the top of Mont Salomon, the castle Chateau de la Batie was built on the foundations of Roman ruins in 1225 by the archbishop of Vienne in order to protect the city from would-be medieval attackers. 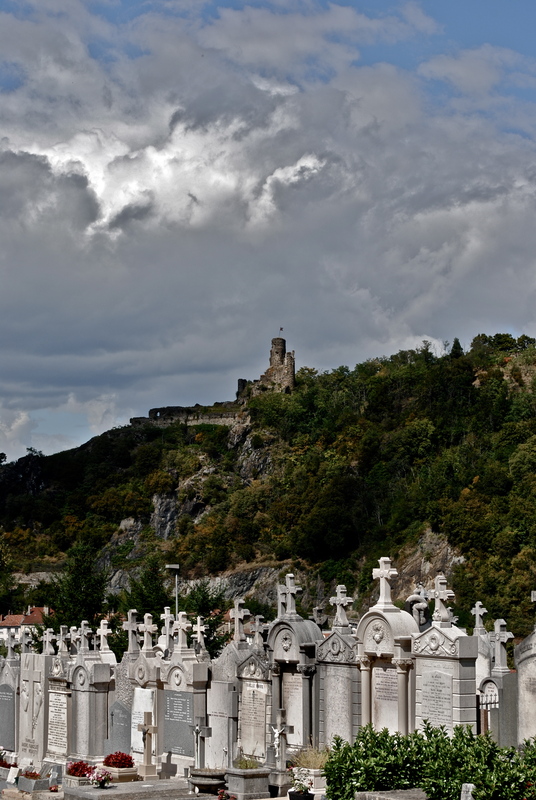 While the castle is not open to the public, it turns a rather ordinary landscape into something dramatic, romantic and even extraordinary to behold, and both the cemetery and Vienne’s hilltop are well worth the visit. Pro tips: In the summer months of June and July, the city comes alive with the annual festival, Jazz a Vienne. Just across the Rhone River is Saint-Romain-en-Gal (only a separate town because it crosses county lines), find the ruins of a Roman city and an excellent museum of Roman archeology. Sometimes the site even hosts living history festivals. Vienne is an easy day trip from Lyon. This post was originally published in November 2014. It has since been revised and rewritten. In the centre of the wildly beautiful city of Krakow is the eclectic structure known as Wawel Castle. Commissioned by King Casimir III in the 13th century, Wawel Castle is a strange mix of nearly all the popular architectural styles of the 13th – 18th centuries – including medieval, gothic, Renaissance (particularly Italian), Baroque, Romanesque and more (neo-classical seems the only important style of the time missing from the list). The Wawel we see today is much altered from the original structure – parts were destroyed by fire, leading to other parts added on or rebuilt entirely. When it was occupied by the Prussian Army, it was changed to meet new needs and new standards – Wawel’s was modernised and its interior re-styled. Defensive structures were changed, and some buildings were removed. Long the residence of Polish kings during Poland‘s Golden Years and beyond, Wawel overlooks one of Poland’s most spectacular cities. In fact, Krakow is one of the few urban centres not razed during the devastating WWII (due to Hitler using it as a base camp). Today, as one of the largest castles in Poland, Wawel Castle is a member of UNESCO world heritage sites (alongside Krakow’s historic downtown). Inside, find museums and exhibition on art, architecture, history, ceramics, weaponry, gold, and even articles from the Orient. To visit is also the cathedral, the ‘lost’ basements where the foundations show what once was there, and cave leading to the banks of the river nicknamed “the Dragon’s Den,” home to the legendary Dragon of Wawel lived. Pro tip: Wawel can be quite busy – try to visit in the off-peak season (or at least earlier in the day) if you can. Admission costs vary, see more here. Free admission is on Mondays from 9:30am – 1pm in April – October, and Sundays 10am – 4pm in November – March. Don’t miss the nearby fire-breathing dragon, a monument to the Wawel Dragon legend (it breathes fire in 5 minute intervals and can be activated by SMS). The small town of Sigulda and its environs seem to collect castles and manors. For starters, the most famous is Turaida Castle, its golden-red towers jutting out of the woodland following the stunning Gauja River Valley – a perfect place to hike. On the far side of the cable car opposite Sigulda, there’s the crumbling ancient ruins of Krimulda Castle paired with the crumbling not-so-ancient ruins of Krimulda Manor. And then of course, in Sigulda town proper, find the Old Castle of Sigulda – now in ruins – just across from the New Castle of Sigulda. The first New Castle of Sigulda was constructed in 1878 by the wealthy Kropotkin family in the popular Neo-Gothic revival style that swept the continent throughout the 19th century. 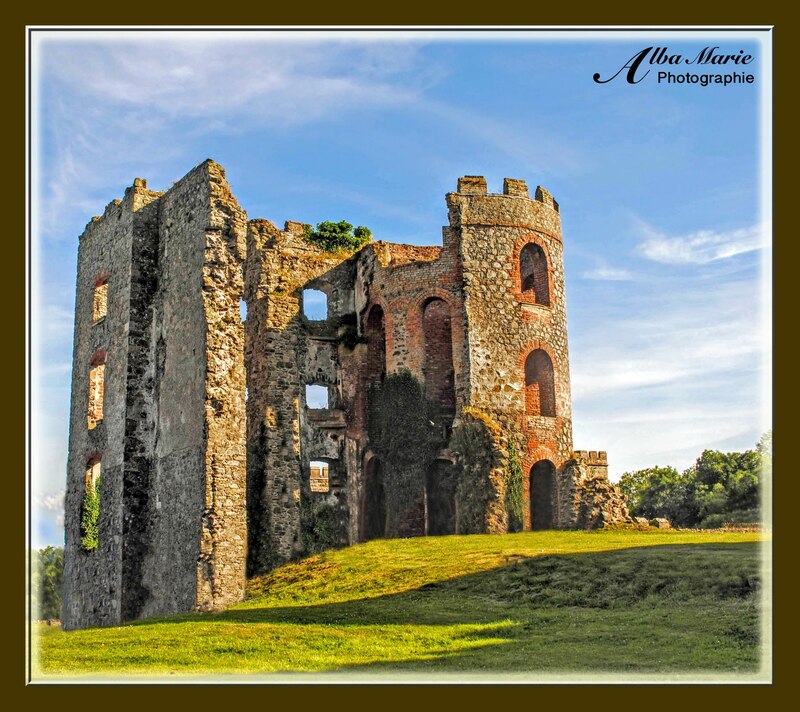 The castle/manor lasted only until WWI when it was partially destroyed. 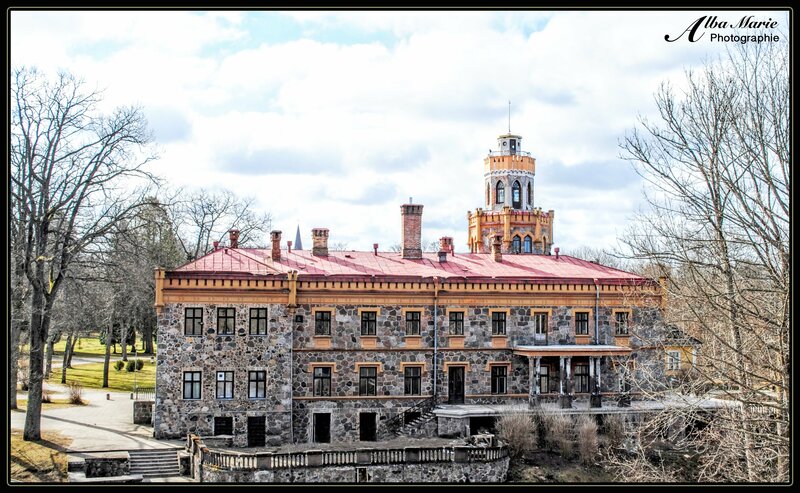 As was wont, restoration started after the war was over, though Sigulda’s New Castle got a complete makeover – it had now become the Writer’s Castle, inspiration for authors, writers and poets of all kinds (romantic ideal, eh!?). Such an idyllic nature didn’t last. In WWII, it was taken over by the Germans, used as a military headquarters, only then to be tossed over to the USSR after the war’s end. It wasn’t until the Baltic states (Lithuania, Latvia and Estonia) finally got their hard-won freedom that Sigulda’s New Castle finally housed part of the Latvian government – home to Sigulda City and District Councils. Though closed to tourists, it’s worth a stroll through the beautiful grounds to enjoy the castle and the views. Plus, the old castle of Sigulda is not far off! Pro tip: The cable car across the valley goes once an hour. Buy your ticket and then use the rest of the hour to walk around Sigulda’s castles and perhaps even pop in to the church to see their collection of button art. If you’re planning to walk from Krimulda to Turaida once you cross the gorge, be sure to wear good footwear. While oftentimes some of the most splendid castles are generally found in rural areas far from city centres, this cannot be said about the massive medieval pile that is the Gravensteen Castle in Ghent. Plopped on the canal bank in the centre of lovely Ghent – one of Belgium’s most fascinating and underrated cities – the spires of the Gravensteen reach for the sky and its walls crumble into the moat. This fortress was built around 1180 by Philip of Alsace, which he modelled after castles he encountered while fighting in the 2nd crusade. Threatened with destruction in the 19th century, the owner of the Gravensteen decided to make the originally medieval castle ‘even more medieval’ — thereby commencing a lengthy restoration project. In some ways, this caused experts to question its authenticity, but this is the nature of continually-inhabited buildings: they evolve. 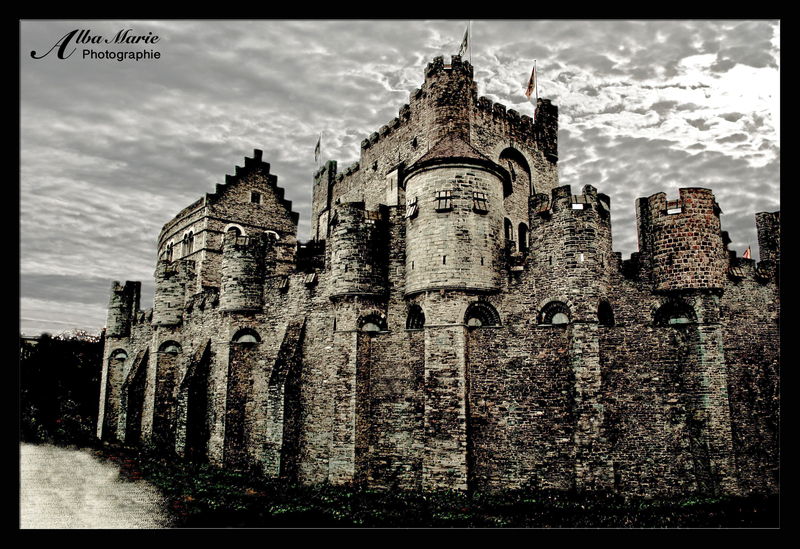 As the Gravensteen is located in the middle of the city, modern objects such as power lines, asphalt roads, and cars criss-cross the castle grounds with roads encircling its walls. Yet the real-fake medieval castle sits in the Place Sint-Veerleplein, unaffected, steadfast and silent, watching as the modern world whizzes by. Pro tip: Full admission is €10, and your ticket also gets you a virtual guide at the Abbey St Peter. The castle is open daily from 10-6pm. While in Ghent, poke around the lovely second-hand and antique shops and walk along the gorgeous canals. For the other end of the history spectrum, hit up Graffiti Street – an alleyway constantly painted by local artists so that it looks different upon each visit! This post originally appeared in June 2014. It has since been updated and revised. 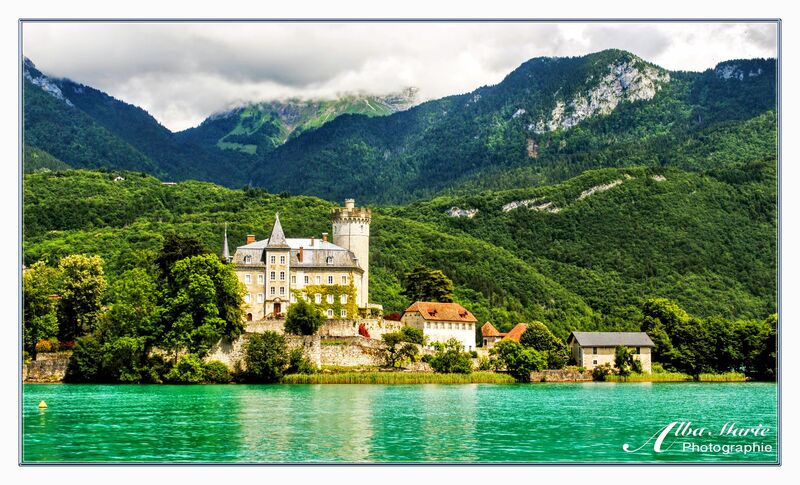 Tucked away in the French Alps are the shimmering silver-green shores of the Lac d’Annecy, or Lake Annecy in English. A small but characterful town, Annecy is an Alpine gem – close enough to the mountains to facilitate outdoor adventures, but still quick and easy enough to get to and around, even without a car. In the middle of the far side of the lake is the small Island of Roselet. Lake Annecy‘s story starts long ago in the Bronze Age, when Roselet went from peninsula to island. Its isolation as an island made it a safe place to live – where apparently, people did. Much later, in the Middle Ages, a castle was built. Though now lost, it has since been replaced with another structure, the current Château de Duingt and church were built in the then-popular neo-gothic style. Perhaps a result of too much Scooby-Doo, the Château de Duingt seems sure to be haunted – or owned by an eccentric old man – or simply eerily deserted. We’ll never know though, as today the island and its castle privately owned and are closed to the public. The closest you can get to the northeastern side is via a boat touring the lake. The island and causeway themselves are closed to guests so curious onlookers will have to view the castle from the village of Duingt where you can see the castle from the small pier that functions as a port landing, or from the park on the opposite side. 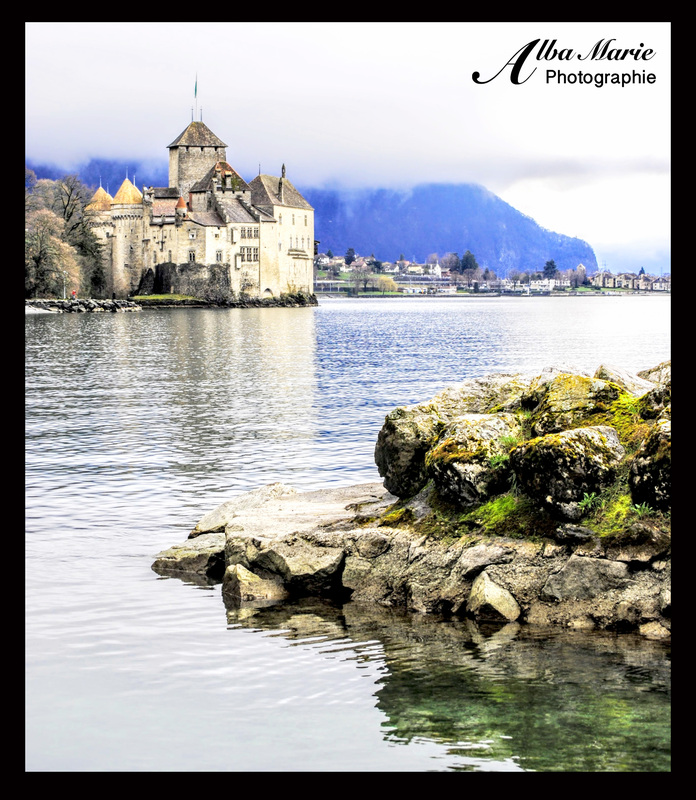 No matter though – the lake and castle are best appreciated from the deck of a boat floating in the gentle lapping waters of the scenic Lake Annecy. Pro tip: There are several boat companies operating out of Annecy. While in town, visit the old prison (Palais de l’Île) if you like history and the Château d’Annecy if you like (contemporary) art. There are many great restaurants and the local pizzas and ice cream are to die for! 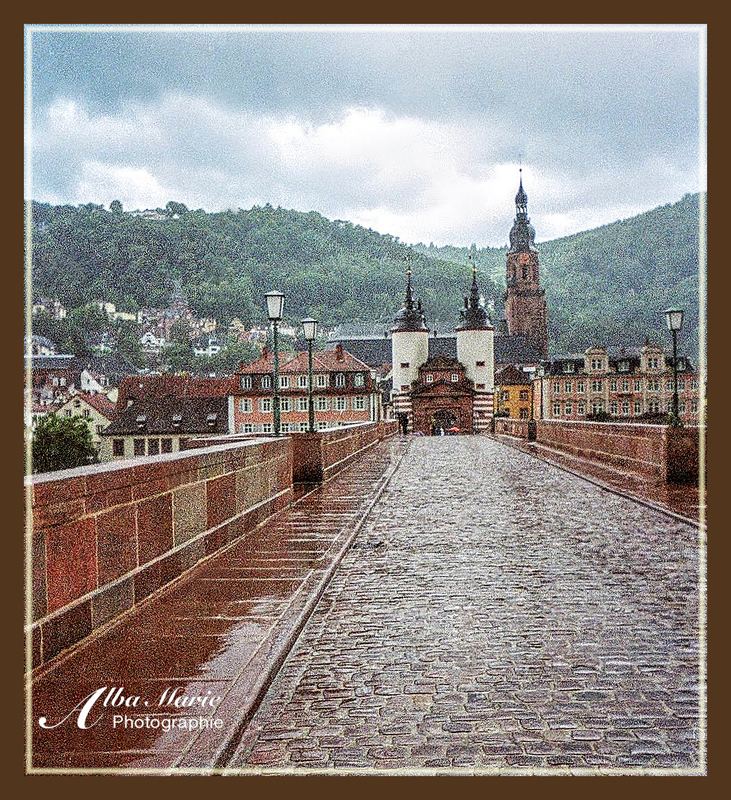 A walk down the cobblestoned streets of old Heidelberg on a rainy Sunday morning is the perfect way to explore this gorgeous ancient city. Baroque buildings parade their beautiful facades to onlookers, the medieval castle looms up on the hilltop, and a dark forest crowns the hills. The world is quiet, the streets are empty, windows are still shuttered – quite the change from the night before. Heidelberg is one of Germany’s most famous student cities, making it very fast-paced and lively by night. Wandering the quiet lanes of Heidelberg in the early hours of the weekend, making this the perfect time to have this romantic city all to yourself. From the centre of this fairytale city, break out of the narrow network of historical streets to the picturesque riverfront. Spanning this river are the six arches of the Alte Brücke, or the Old Bridge – simply a beautiful spot on this rainy German morning. Crossing the Neckar River, the Alte Brüke is a stunning stone bridge dating back to 1788. It connects the castle and old town of Heidelberg to the newer streets and the still-wild hills on the other side of the Necker. In fact, this is where the gorgeous Philosophen Weg pathway is – the forest track that eventually leads to the ruins of St Michael’s Monastery deep in the German woods. All in all, whether you are looking for fun and nightlife or quiet meandering, Heidelberg is your ideal destination. Pro tip: If you like beer, be sure to try some of the delicious German weissbier (wheat beer) – available throughout the region! As explained in the post, be sure to cross the Alte Brüke and hike up the hill to the forgotten monastery! But… bring a map. This post originally appeared in October of 2013 and has since been updated. 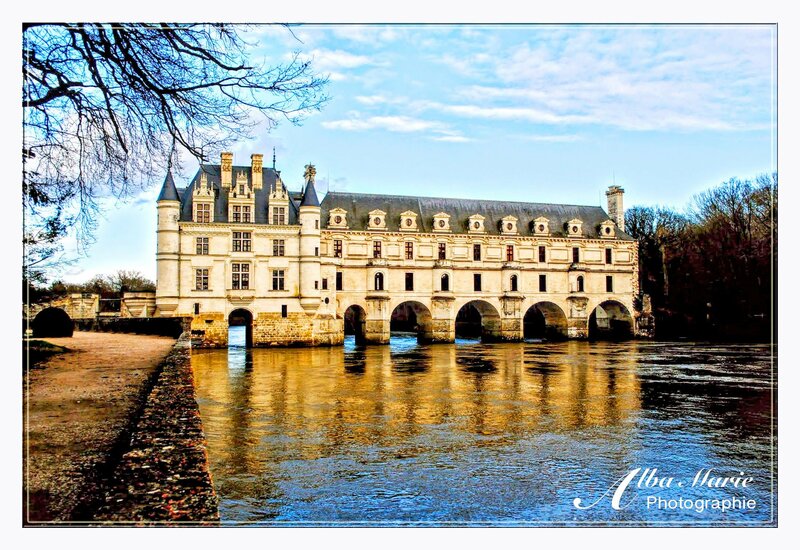 The Loire Valley is one of the most spectacular castle regions in Europe. Full of what can only be described as French chateaux, the Loire Valley houses some 300 extravagant palatial buildings!! Among the most famous are the immense Chateau de Chambord and the spectacular Chateau de Chenonceau. Spanning the River Cher in a unique castellated bridge, the river literally runs through the castle. Though it has had many owners, Chateau de Chenanceau is really a tale of two women and their rivalry for King Henri: Diane de Poitiers and Catherine de Medici. Diane de Poitiers was a noblewoman – beautiful, talented, intelligent and elegant – who fall in love with young King Henri II. In order to take control of Italian states, Henri was married to the much younger Catherine de Medici. Despite his marriage, Henri spent his entire life dedicated to the beguiling Diane de Poitiers and their children, culminating in gifting her Chateau de Chenanceau. Though it took many years of delicate legal manoeuvres to make Diane the true owner of Chateau de Chenanceau, she loved the castle and was responsible for the phenomenal bridge across the Cher, as well as the flower and vegetable gardens. When Henri died in a jousting accident, his jealous widow Catherine de Medici illegally forced Diane to yield her the castle – though she was then forced to offer Diane Chateau de Chaumont in exchange. Catherine further renovated the gardens and the castle interior, as well as adding new rooms and a service wing (of course she did, she’s Catherine de Medici…). Unlike her more enlightened rival Diane, Catherine was a girlish socialite whose favourite activity was hosting lavish parties at Chenanceau, including France’s first ever fireworks show. Chenanceau’s third notable woman was the enlightened Louise Dupin, who hosted countless literary salons in the chateau – Louise saved the castle during the French Revolution by claiming that it was essential to commerce as it was the only bridge for miles. Though Catherine may have stolen the chateau from Diane and Louise saved it from demolition by angry hordes, Chateau de Chenanceau remains synonymous with Diane de Poitiers and her love for King Henri. Pro Tip: Chateau de Chenanceau is far more lovely when visited in the off season – despite the lack of flowering gardens, the lack of tourist crowds allows you to feel the romance of the castle. No car? It’s a short and easy train ride from the town of Blois. Transylvania, like Wallachia, is an ancient region of Romania – mountainous, disputed, oft-changing boundaries. Fortresses and castles had to be built for protection, defending land and people. Făgăraș Citadel is one of those places. Făgăraș was built in 1310 on the foundations of a 12th century wooden fortress that had been burned by Tartars in 1241. Then it was enlarged in the Renaissance style with the sole purpose of impressing visitors (in fact, Italian architects were brought in to add said Renaissance grandeur). Then – sadly – Făgăraș became a military garrison, meaning that the once-luxurious interior was ruined, trampled, lost. 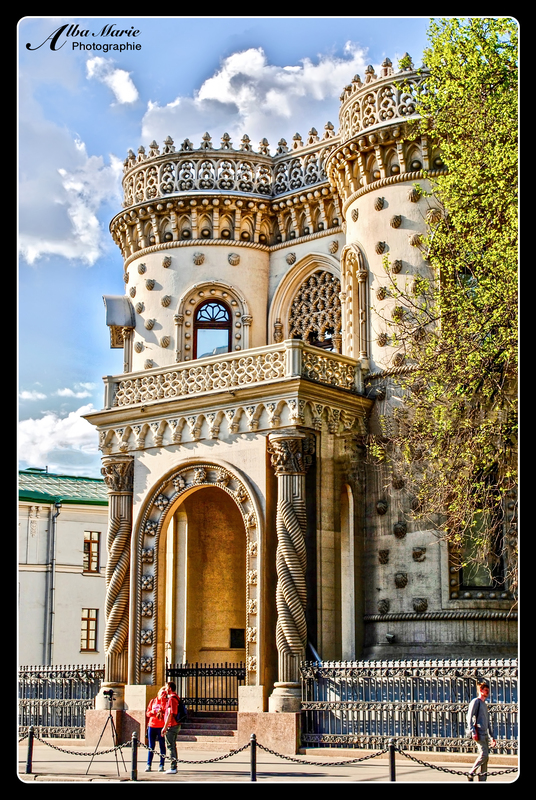 Encircled by a moat and a tree-lined garden, Făgăraș remains a beautiful and impressive place. However, do keep in mind that today’s Făgăraș Citadel is plopped in the middle of Făgăraș town, with cars and cyclists whizzing by, the din of city noise as its soundtrack. 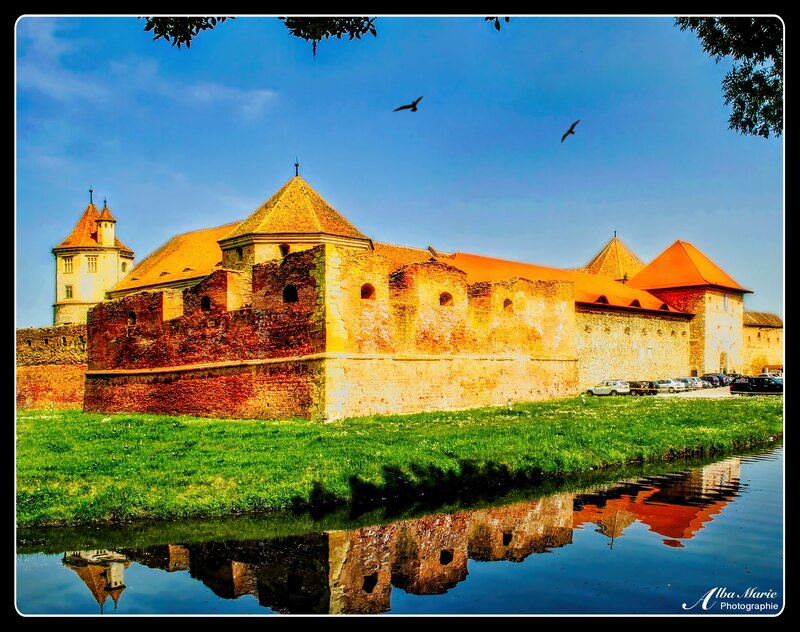 Făgăraș Citadel is now a history museum – entry 15 lei, open year round – and a fantastic example of a Transylvanian castle! Pro Tip: Făgăraș Citadel is a great stop for anyone driving between Brasov and Sibiu! 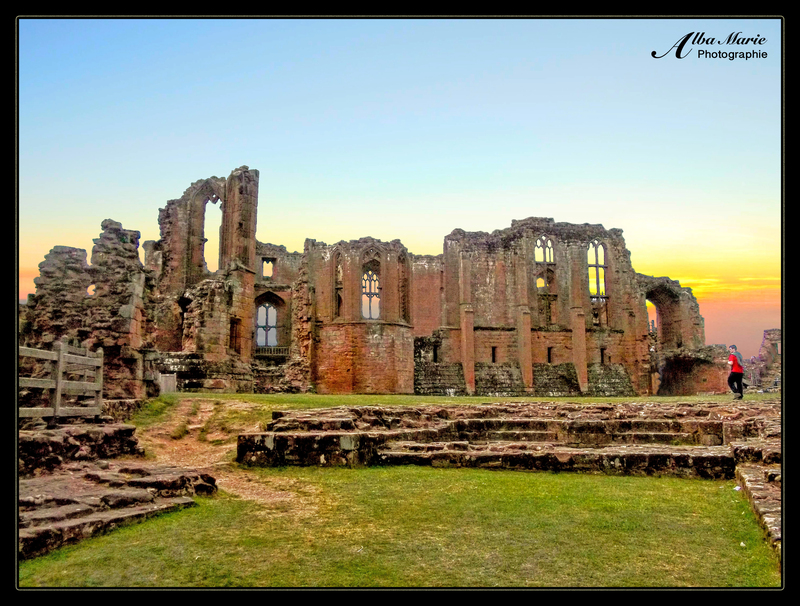 Whether you visit the interior of the castle or just stretch your legs along the walls, it’s worth the stop! The city that feels a bit like its at the end of the world, Inverness is a small cosmopolitan outpost in northern Scotland. 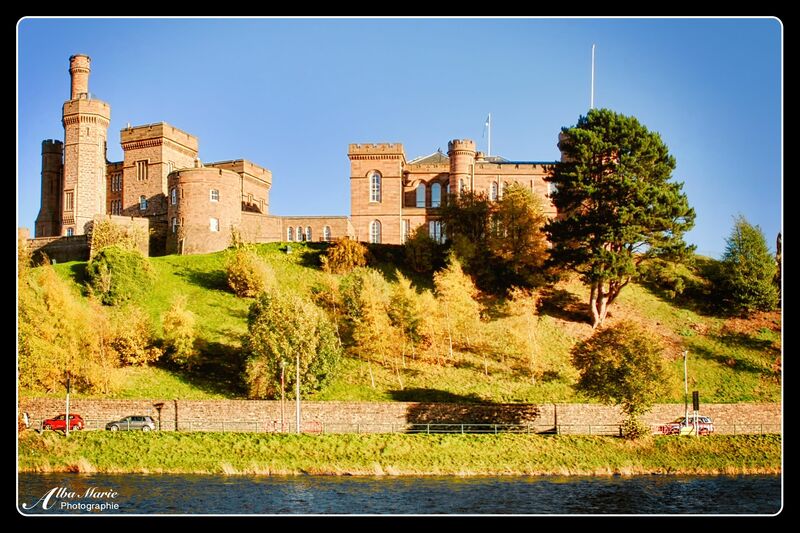 Crowned with Inverness Castle, the city – and castle – cling to the banks of the River Ness. This relatively new castle was only built in 1836, but it sits on the roots of what was originally an 11th century castle. Today’s castle is built in the neo-gothic style, though the former castle was a proper medieval lump of stone. It’s not open to the public today for good reason: it is currently home to the Inverness Sherif Court (Scotland’s civil and criminal court). That said, you can visit the Castle Viewpoint for a bird’s eye view of Inverness from the top of the building (admission £5). Though the interior of the castle is closed, the exterior is an emblem of Inverness. It’s also certainly a worth to climb to the top of the castle hill to enjoy the view over Inverness and beyond! Fun fact: find Inverness Castle on one side of certain £50 RBS banknotes. Pro Tip: Keep going past the castle along the river to follow forest trails through the Ness Islands. Hungry? You’ll definitely have to check out the delicious menu at The Kitchen Brasserie, less than 5 minutes walk from the Castle. Book lovers will love the magnificent Leakey’s Bookshop located in an old church! Looking for music? Try Hootananny for a pint and traditional music! 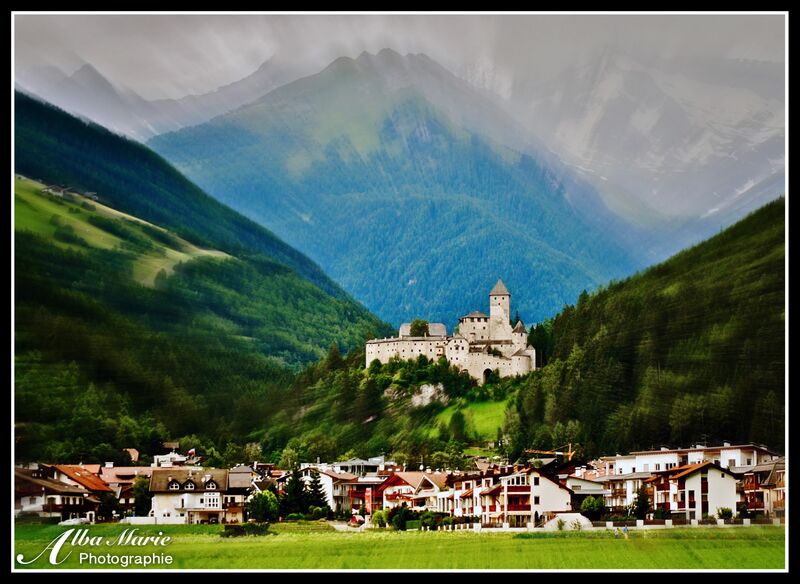 Tucked into an extraordinary mountain landscape in Sud Tyrol, northeastern Italy, Castel Tures or Taufers Castle is first mentioned in documents in 1225, when the newly noble family started construction on a lavish house fit for a lord. For a hundred years the castle flourished but sadly by the mid 1300’s, it was already in decline. It wasn’t until the Dukes of Austria took an interest that Tures Castle was renovated and reconstructed. New towers, draw bridges, walls, gardens, and castle residence return in all their glory. Today this 64 room castle is open to the public, showcasing beautifully panelled rooms, a magnificent library, and a precious chapel. But the greatest jewel of this castle in northern Italy is truly in its location – the mountains of the Dolomites, themselves part of the Alps tower over Tures Castle’s turrets and towers, with the town and fields spreading out at its feet. This forgotten corner of Ireland, Sud Tyrol contains one of the highest castle-to-land ratios in Europe, as well as countless natural beauty – parks, mountains, forests, waterfalls, preserves. Overlooked by tourists, Sud Tyrol is a magnificent and quiet region in the Italian Alps. Pro Tip: Visit the nearby Vedrette di Ries-Aurina Natural Park for beautiful lanscapes, woodland and waterfalls! Welcome to the Palais Ideal, or Ideal Place of the Postman Cheval. 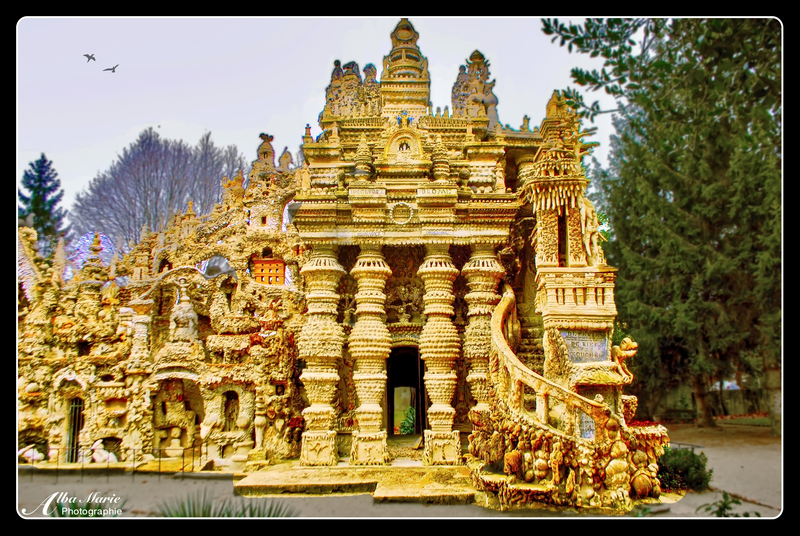 Built by a wildly-imaginative postman in the early 20th century in Hautrives, France, this structure is an extraordinary example of naïve art architecture, with definite influences of the Art Nouveau movement of fin de siecle Europe. True to it’s name, this supposedly naive art is made by someone, like Postman Cheval, who has no architectural training. In fact, the Postman simply picked up interesting-looking rocks on his 30-some mile daily postal delivery and brought them home. He went back to the same spot the next day, and found another, and another. Remembering a dream he had when built a palace, castle and cave, he started to construct a bizarre palace inspired by myth, history, nature, religion, and the world all around. In his own words, he said to himself: “since Nature is willing to do the sculpture, I will do the masonry and the architecture.” He kept going for the next thirty-three years until he had built his castle or palace or cave (even he himself admitted, “I cannot express it well.”) until he finally had his ideal palace. The 12th century Chateau des Adhémar remains one of the last true examples of Romanesque architecture, a style defined by rounded arches, thick walls, squat towers and sturdy pillars. This study, box-like castle was built atop a sunburnt hill which overlooks the orange-tiled, sunny town of Montélimar (located in the Drôme department in the south of France). Appropriated by the papacy in the 14th century until 1447 when it re-entered the Kingdom of France, the castle has been used as papal residence, an armament for several conflicts and wars, a citadel, a prison, a country residence, and now a contemporary art museum. In fact, Chateau des Adhémar was largely saved in the last few centuries as it was put to use as a prison. The famed loggia, or loge, with the striped design and rounded windows attached to the main keep was added during the Renaissance to ‘beautify’ what was considered a ‘plain’ Romanesque design. The beautiful Renaissance loggia was also built to add light to formerly gloomy rooms as well as show off the expansive countryside on Chateau des Adhémar’s toes. Located in the inner courtyard is the ancient 11th century St Pierre Chapel. Once a part of the wide-reaching monastic network centred at the Monastery of Ile Barbe in Lyon, the simple Romanesque chapel was later incorporated into the castle complex by the powerful Adhémar family. 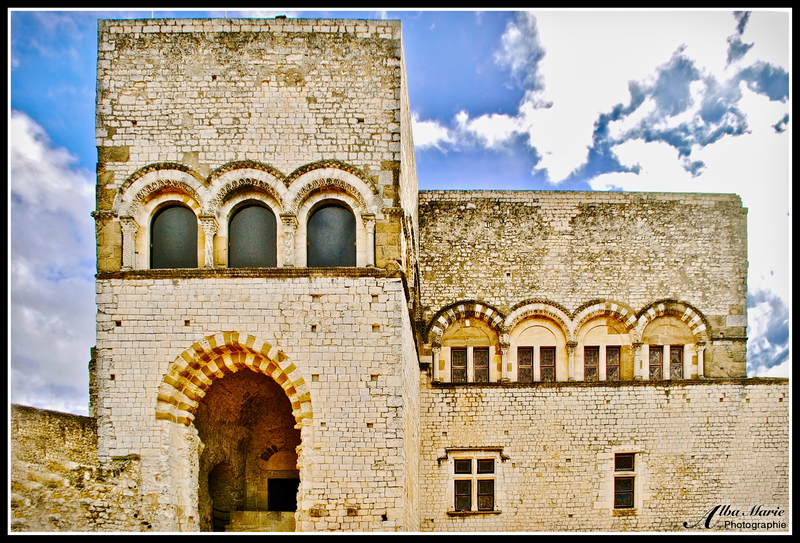 Today, the castle is a fine example of Romanesque and Renaissance architecture, as well as the modern art movement. It offers splendid aerial views of Montélimar and is a perfect stop on a road trip heading from Lyon to Nimes, Avignon, Montpellier or any other destinations in Southern France! 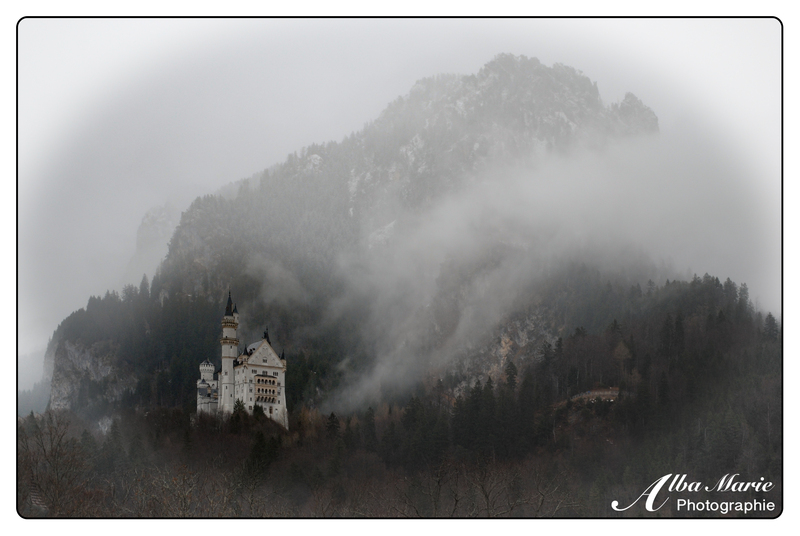 Rising romantically out of the mist is the majestic white turrets of Neuschwanstein Castle. Somewhat reminiscent of the Brothers Grimm, of all of Germany‘s fairy tale castles, Neuschwanstein Castles wins gold for fairytale extravagance. In fact, the castle, built 1869-86 (though never completed) is generally credited with inspiring Sleeping Beauty’s Castle in Disneyland, California! Commissioned by King Ludwig II of Bavaria and dedicated to composer Richard Wagner, the magical Neuschwanstein Castle is located a stone’s throw from the far more demure Hohenschwangau Castle, ancestral home to the royal family (though not good enough for ambitious Ludwig’s refined and ostentatious tastes). Instead, Ludwig required a more flamboyant residence in which to flex his power (not unlike the popes of the Avignon Papacy and their enormous palace). The completed rooms in Neuschwanstein are all elaborately carved, lavishly furnished and thoroughly gilded – and the swan motif giving the castle its name is everywhere. There are long, bejewelled corridors, dizzyingly vast courtyards and high flying turrets. Best of all, there’s even a mysterious grotto based on a German myth… inside the castle (not a joke…)! The grotto even once had a waterfall and rainbow-maker. The white turrets of this German fairytale castle are cloaked in thick mist and dark, silent forests crossed with forlorn paths (reminiscent of the Black Forest), making it easy to imagine a Disney princess or two locked in a tower, tasting a poisoned apple, losing a magical slipper or pricking her dainty finger on a spinning wheel here at Neuschwanstein. Though most German castles seem straight out of a fairytale (see Hohenzollern for another example), Neuschwanstein is certainly queen of all. 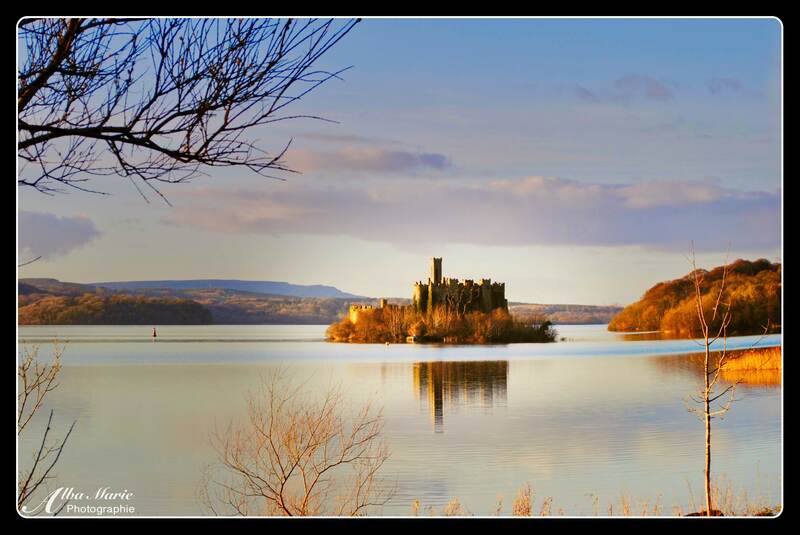 Tip: due to the castle’s enormous popularity, visit off-season and go for a morning visit. Be sure to visit the nearby Hohenschwangau Castle, the royal grounds as well as the path that leads to the Marion Bridge for the famous view of the castle across the gorge! Keep in mind that sadly, there’s a strictly enforced no photography rule inside the castle…a shame, for the castle’s interior seems something that could only exist in Beauty and the Beast’s castle. As the most expansive and over-the-top chateau in the Loire Valley and among the most excessive of Europe, Chateau de Chambord is certainly the crowning jewel of the already castle-laden Loire Valley. Known for its rich (and royal or at least very noble) castles, the Loire Valley is full of lavish summer residences – the Chateau de Chambord is no exception. Built in 1547 in the extravagant French Renaissance style (a style which was, by definition, extremely extravagant), it was constructed for King Francis I of France as a hunting lodge, it was though never finished. Among the many distinguished guests who stayed there, the most important was Leonardo da Vinci, and it is to him that we attribute (though without proof) the chateau’s unique and fascinating double-helix staircase – i.e. two intertwined, parallel staircases that twist upwards around each other but never touch. 16th-century chateaux are in many ways faux chateaux. 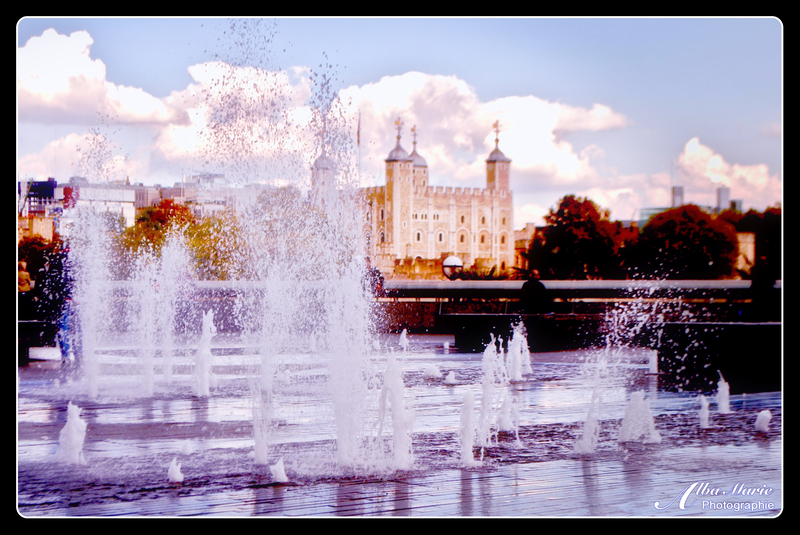 Architects used basic designs of castles – like moats, towers, turrets, crinolines, keeps, drawbridges, etc. – but they were never meant to be defensive, and indeed weaponry and war in this era had changed so dramatically that castles were of less use in combat (to be fair, most of Europe had settled down a bit to form some degree of stability, at least from one region to another, though there were exceptions like the French Revolution). If boiled down, Chambord is really composed of a central keep and four massive bastion towers, connected by high walls; the rest is elaborate design. Chambord is best visited in conjunction with other Loire Valley Chateaux like the Chateau de Chenanceau for example – try driving from one to the next, or if you’re feeling adventurous, consider biking from chateaux – the castles are close enough together to make this a relatively a feasible task!